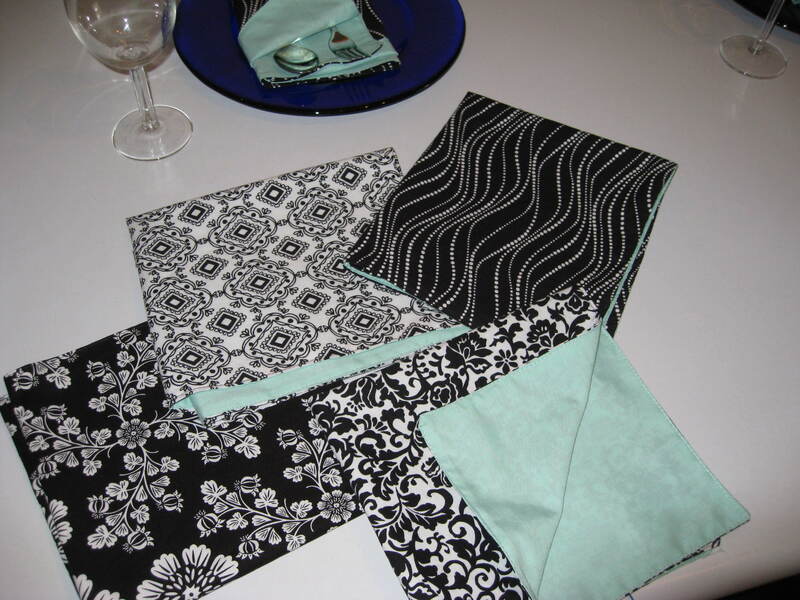 The Easter Bunny brought my mother a set of 8 homemade cloth napkins with a tropical pattern on one side of each and a bright pattern fabric on the other side. 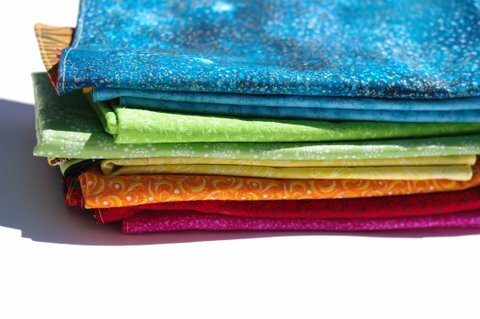 I walked passed the primary material at Joann when I was there to buy fabric dye and I actually did a double take, back-tracking to pick up the bolt of fabric for further examination. Why do I like this? I asked myself. What would I do with this? Why can’t I shake the feeling that my mom would like it? 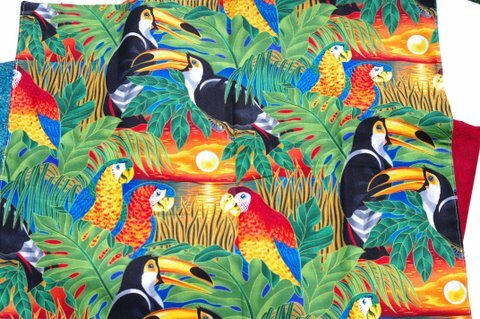 What would she do with two yards of gaudy tropical birds? 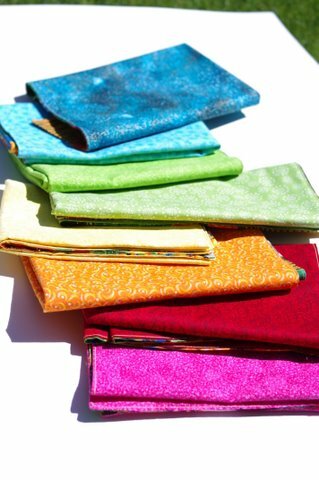 After much puttering back and forth and even a phone call to find out if she would use a set of silly, bright cloth napkins (answer: no), I bought some of the fabric anyway. Later she sent me an email saying that she would in fact use them if they were sturdy and large enough to be practical rather than decorative, which was good because I had already started assembling them. I have spent a non-zero number of minutes folding and refolding the napkins and just admiring them in rainbow order on my coffee table. As long as I can remember I’ve liked things ordered by color. In elementary school my sock drawer was carefully organized in rainbow order. (It was 1991, I had many slouchy socks of different colors.) Any crayons, colored pencils, and markers I’ve owned throughout the years have been re-ordered in their boxes. My closet is sorted by hue. It’s so pleasing to the mind, just look! April 24, 2011. 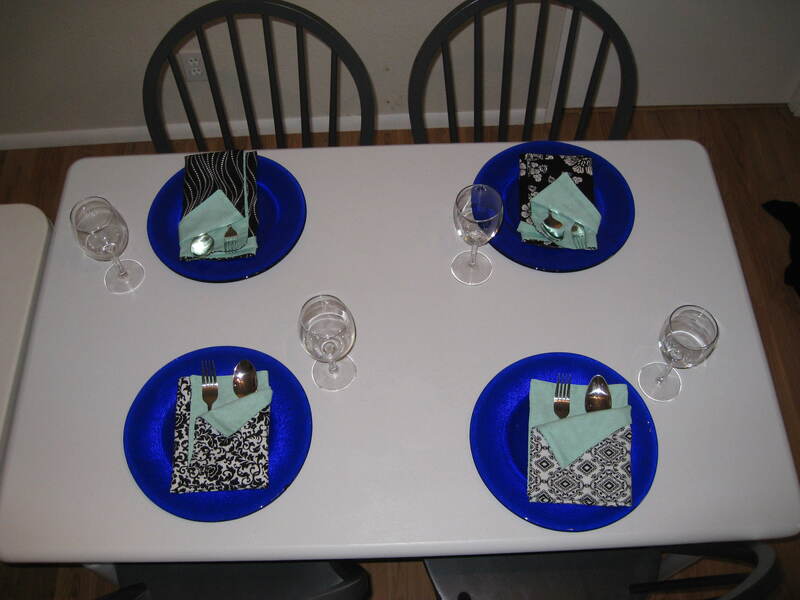 Tags: completed project, fabric, napkin. Pictures, Projects, Words. 1 comment. 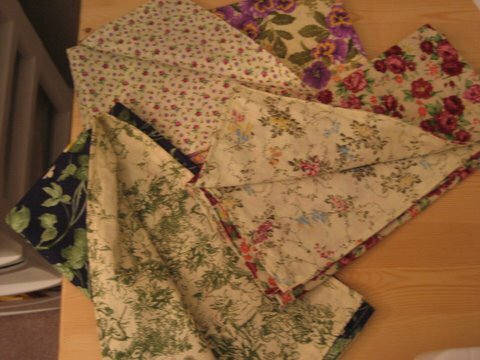 A month or two ago I made these floral napkins using clearance $2/yd fabric from Joann. My plan is to make a set of 8, each with its own combination of patterns. I like the futzy florals, I think because they remind me of a set of teacups I would admire in a glass-front china cabinet in my grandparents’ dining room when I was a little girl. That tea set colleciton is now mine, carefully packed in a box somewhere in my sewing room. After I have completed the Great Space Cleanup of 2009 and finished the set of floral napkins, I will have a tea party and think of my maternal grandmother. July 23, 2009. Tags: floral, napkin. Pictures, Projects, Words. 5 comments.